Enjoy our website and make plans to stop by and see what’s new, what’s transforming, and what will never change. As a community we focus on the formation of our students academically, civically, and athletically in a caring and faith filled environment. 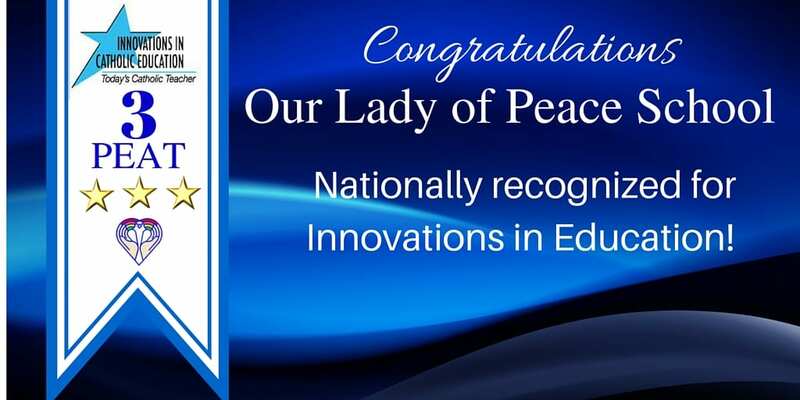 Our Lady of Peace is a three time National School of Tomorrow winner for Innovations in Education. At OLP, we open doors to the future while preparing our students to embrace their faith with greater wisdom and understanding. We take great pride in enriching our students’ minds and spirit while developing honor and character. We prepare our students not only for academic success, but to be leaders in the community by learning and leading others down Christ’s path. Our mission is put into practice; it’s not just a statement. It is our Vision – our Pride. 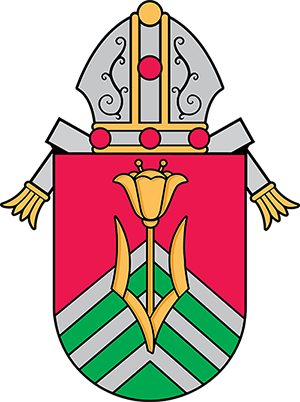 Together, we truly strive to be the People of PEACE: Prayer; Encouragement & Example; Academic Excellence; Community, Commitment, Covenant; and Esteem for Ourselves and Others. We invite your family to join us as the People of Peace!